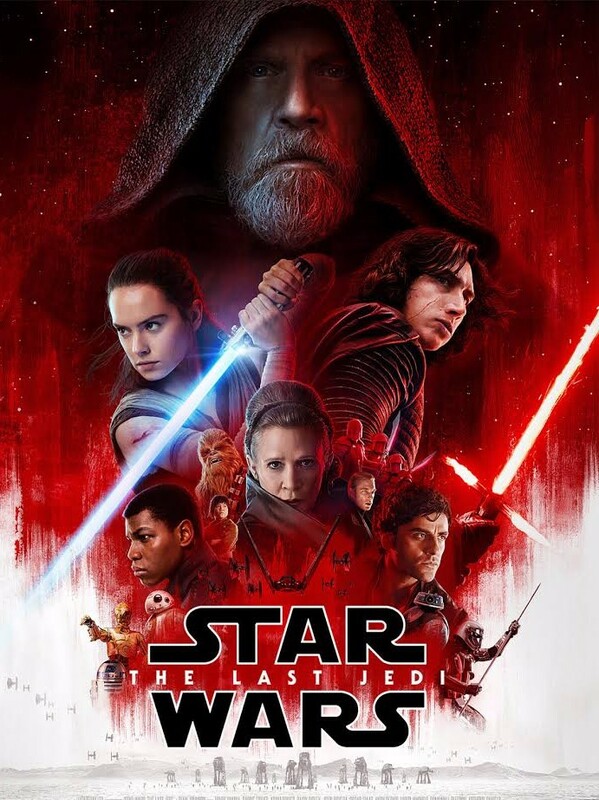 Star Wars: The Last Jedi has been out for a week now and is going strong, as it has passed the $600M mark at the box office, and it seems, rightfully so. Even if some fans are so stuck on some aspects of the franchise that they're asking this film be struck from the franchise canon. I touch a little bit on that later, but hey, Disney bought the franchise and is moving forward creating new film content, what did you expect? Star Wars toys, books and films on Amazon. But first, let's touch on a few facts. IMDb members have given the film a 7.7/10, while Rotten Tomatoes have the film scored at 92%. The film is directed by Rian Johnson (Brick, The Brothers Bloom, Looper). 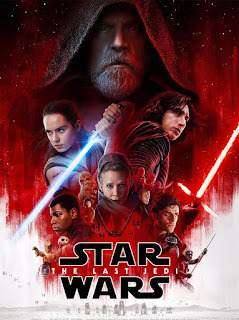 It is the second film in the Star Wars sequel trilogy, following Star Wars: The Force Awakens the premiered in 2015. Yea, this guy has cemented his future with Disney on this one! Mark Hamill as Luke Skywalker, AND as Dobbu Scay, a character who, in the Canto Bight scene, mistakes BB-8 as a slot machine. As you can see, it's a great cast that's been set to deliver this new chapter in the Disney-envisioned world of Lucasfilm's Star Wars, and to be honest, they delivered quite the story put together and delivered by Rian Johnson. The film starts out as we watch resistance fighters evacuating their primary base as Imperial ships from the First Order arrive and start a cannon barrage to destroy them once and for all. The resistance flees into hyperspace, but to no avail, as the First Order finds them and looks to pursue them to the ends of their fuel. In the meantime, we follow Rey's attempt to sway Luke Skywalker to come out of hiding AND train her in the ways of The Force, while Finn and friends chase down a code hacker so they can break into the Imperial ships pursuing the resistance. There... I think I touched on most of the story elements without giving too much away. This Star Wars film had a bit more quippy humor than I remember other films having, but then again, everyone has to get on the Marvel-quip mode. It seems to resonate with the box-office. It's nice how the film jumps between each of the five stories in the film, keeping it pretty engaging... no one story gets to old too fast. I can't find much to complain about... I was surprised to see Laura Dern in the film and she can crank out a serious, driven military type rather nicely. I was pleased as punch to see Benicio del Toro in it... and in a very new and quirky kind of characterization for him. I like this guy. When I first saw Daisy Ridley in the last film, she was just a character to me. I get it was about her, but it never really took. I did not dislike her, she just never drew me in. This time around, I found her more likeable or that she drew me in. I think this is because I knew so little about her in the last film, but this one, we know things about her and we learn even more this time around. Kylo Ren... ah. One event early on I think brought this character out for me. I won't tell you what it is, but for me, it was almost like this character dropped a crutch he was depending on, and decided to go it on his own. I started to like 'not liking' his role in this entire story. And then there was one other big advancement to his character that drove home a more in-depth understanding of what is making him tick. Luke, Luke, Luke. As we learn, he's out on this isolated planet to not be found. It's as simple as that. And Rey found him and he's not happy about it. I LOVE what they did with Carrie Fisher's character, considering. And one of those final scenes, where a child grabs a broom and looks up into space... watch it carefully. That's all I'm going say. Now I'm not giving anything away here, but for the fans that are starting to complain about removing this film from the franchise canon, you need to get over it. Their whining comes from the fact that events that take place in this film seem to completely undermine all the years of novels that have been written since the original three films. No matter, the money spent to see the film will be worth the time you spend in the box office. Even though the film runs two and half hours, the pacing and engagement from the story does not make it feel that long. Marvel, Paramount (Star Trek), and Hasbro (Transformers) have all done well tweaking the film versions of their franchise characters, and it's all about the films in the box office. Most movie fans that are being targeted are new fans. Established fans already have an emotional commitment. So most everyone tends to focus their marketing on the newer fan and the repeat attendance fan. Thus, I am NOT surprised by what Disney has done with the franchise. And in the long run, it will be great, because the old novels will probably still sell while the new direction that novels can take will also sell. And bottom line... Disney doesn't care, they will do what they want with what they want because it's their billions.